Knoebels Amusement Resort is a family-owned and operated amusement park, picnic grove, and campground in Elysburg, Pennsylvania. It is and has been America’s largest free-admission park for 91 years of operation. It is a perfect trip for the spring, fall and summer. Everyone should visit the park once if they’re from the area. Ricketts Glen State Park is a Pennsylvania state park on 13,050 acres in Columbia, Luzerne, and Sullivan counties in Pennsylvania in the United States. Activities include hiking, camping and exploring nature. This is a great day trip activity for friends and family of all ages. In the summer, make it a mission to visit Harvey’s Lake. There are many fun activities including boating, swimming, riding jet skis and just enjoying the scenic look of the trees over the lake. It is becoming more and more busy every summer due to the rising popularity. If you’re in the area, definitely check out Grotto’s Pizza and Joe’s Potato Pancakes, both restaurants are right off of the lake. Mohegan Sun Pocono (formerly Pocono Downs and Mohegan Sun at Pocono Downs) is a resort located in Plains Township, right outside of Wilkes-Barre, Pennsylvania. Mohegan Sun is consistently rated as one of the best places to stay in the area. It features over 2,300 slots, and live tables for blackjack, roulette and poker. The harness track is also a major attraction. The facility has over 10 restaurants, food services areas, including Johnny Rockets, Ruth’s Chris and even Ben and Jerrys. Good luck to visitors! In a spending mood? That’s great, because Northeast Pennsylvania has many shopping experiences and wishes. The steamtown mall is an iconic mall of Scranton that has all of your favorite shops, so bring your wallet and be prepared to shop until you drop.On Sunday afternoons they have live music, and the food court is always bustling. Did you know that the show The Office took place in Scranton, Pennsylvania? The steamtown mall is featured in the show in quite a few episodes. Cool, huh? The Houdini Museum is conveniently located at Scranton, Pennsylvania. Did you know that Houdini appeared in Scranton and did several special challenges here? Additionally, his brother, Hardeen, also appeared in Scranton and in its sister city, Wilkes-Barre. The longest engagement of Houdini’s career was in this area of northeast Pennsylvania, when he spent two full seasons with the Welsh Brothers Circus. Documents and letters attesting to this are on display in the museum’s renovated 125-year-old building and on its website. This is an absolute must visit! Montage Mountain is a ski area in Pennsylvania, located 8 miles from downtown Scranton, Pennsylvania. 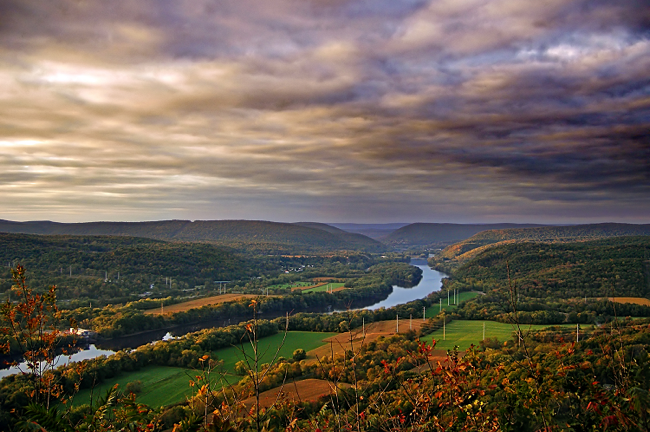 It is located about 125 miles northwest of Philadelphia and New York City. There are 26 trails, 2 terrain parks, and one of Pennsylvania’s longest snow tubing area. Montage Mountain has 24 ski and snowboard trails, including White Lightning, the 2nd steepest trail in the Eastern United States. It has a mid-mountain lodge with a patio and grill. Above the lodge are beginner and intermediate slopes. Below the lodge are advanced and expert slopes. This advanced area is locally known as North Face; it features the steepest skiing in Pennsylvania. Montage Mountain has two terrain parks with jumps, rails, and features ranging from beginner to expert. Montage also has a gladed ski trail. Gertrude Hawk Chocolates was started by Gertrude Jones Hawk in 1936, who began her career at the age of 12, after the death of her father. Gertrude took a job in a candy shop and later began making chocolates in the kitchen of her home in Scranton, Pennsylvania. After World War II, her son Elmer Hawk invested his service pay in the fledgling business enabling the family to purchase mechanical chocolate making equipment. The family also used their products in fundraising sales through area churches and schools. Gertrude Hawk is now a famous chocolate factory that everyone in Pennsylvania knows about and enjoys.